Top Tips For Cutting Patches As Suggested By Facebookies & Twonks. I asked my Twitter and Facebook chums to offer up some tips for newbie cut flower patch folk…this is what they came up with….I will add others if and when they arrive on my time line. 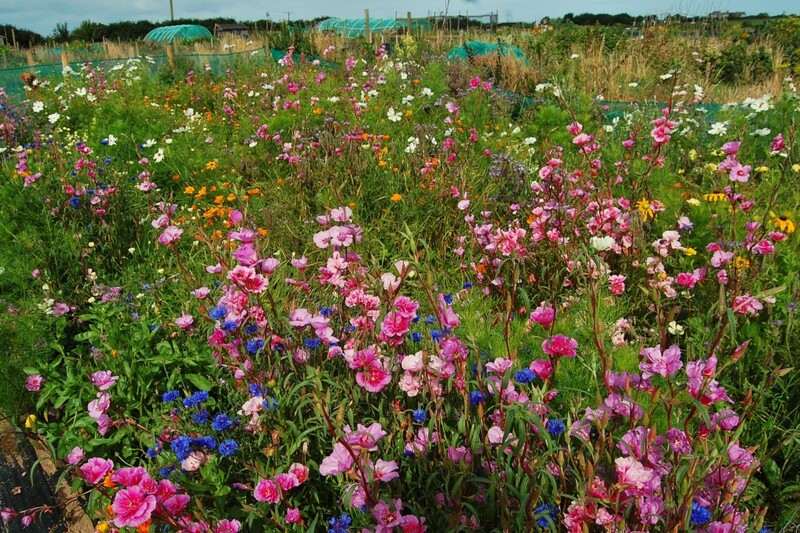 Quite right…it’s easy to get carried away trying to grow 100 different varieties in your first year….though having said that….feel free to buy 100 packets of seeds from yours truly. If you wish to sow hardy annuals directly into the soil…you want to be super quick about it…in fact I think the soil is cooler than is usual for this time of year and so it may be too late. However…you can sow in pots and overwinter your seedlings…then plant them out in spring. Nick Hearle has been harvesting…..good stash there Nick….those Earthwalker sunflowers look very healthy…and go swimmingly well with the Rudbeckia ‘Marmalade’. …whilst I rarely feed my own soil, I do add plenty of organic matter…home made compost is my fav…I can never made enough of the stuff. Edges are another very good and often overlooked point …sharp and clear edges to your border will help stop nasties creeping in…keep them maintained and your life will be easier and your patch will look more organised, making your neighbours boil over with envy and desire. …actually…this is something I overheard Claire say on Twitter…so it’s not verbatim but it’s worth a mention….my autumn sown Ammi are always twice the height and bushiness of spring sown ones…though it must be said that spring sown ones will go on later into the season…I myself sow in both the autumn and the spring but that’s just the maverick, rock and roll lifestyle that I choose to adopt. 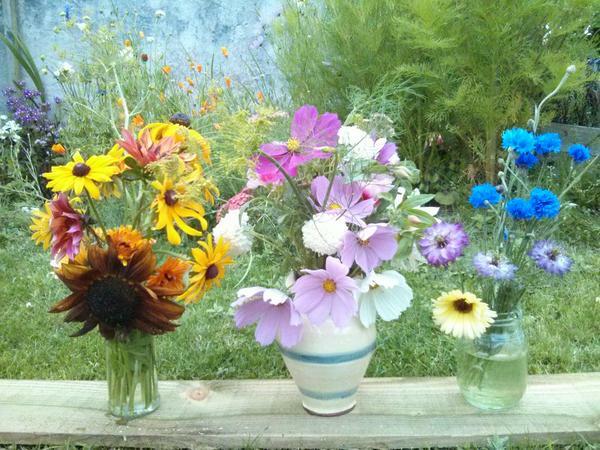 Sarah Beattie grows flowers among other goodies in her French garden @sarahbeattiegra. Sarah has some VERY wise words! 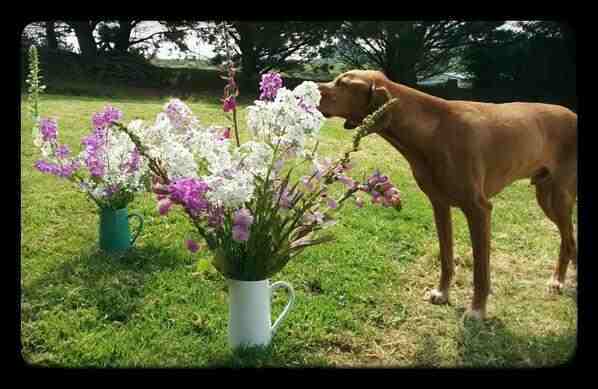 Furface has got a soft spot for Hesperis. Thank you Lorraine…I sow or plant up my rows at a foot apart…this works well for me…I can easily reach the middle of the beds from both sides. Quite right…’treat em mean keep em keen!’. I usually sow all of my Sweet Peas in spring but that’s because I forget to start some in Autumn. 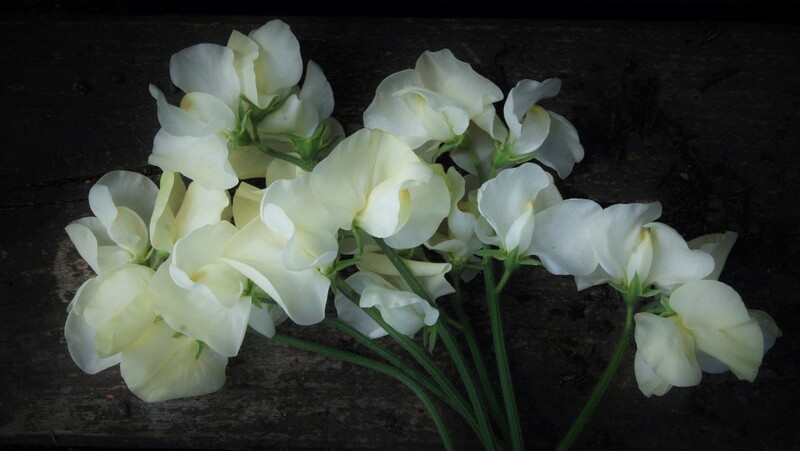 …I know a chap who sells a BRILLIANT Sweet Pea collection! 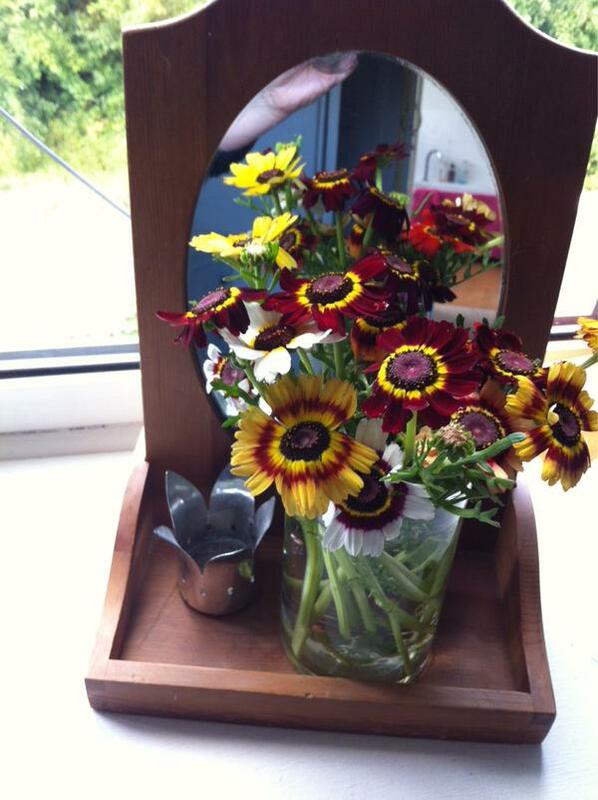 MonroW has done a better job than I this year with her Chrysanthemum Rainbow….these are really worth a go…such cheery chaps. Short and sweet from Amanda! Yes…especially hardy annuals…these are flower making machines….some half hardy annuals like Cosmos will also keep producing….plants like Nicotiana, less so. My ‘Seeds To Sow In Autumn’ collection is made up of hardy annuals…it can be sown in spring too….and is swimmingly good value. ha! Yes! …although, equally…don’t bite off more than you can chew…if you can’t keep on top of the weeding the whole exercise may become dispiriting. …we’ve all been there Christopher…I’ve made some Higgledy ‘Mega beds’ in my time…they are tricky to manage. Here’s a guide to: Preparing beds for a cutting patch. …My plot is pretty sheltered so I don’t need to stake my flowers…but if your patch is in any way exposed it’s worth it. You can stretch pea netting across the bed at a height of about a foot….let the flowers grow through it…. Straight lines make your life SO much easier when you are weeding…when plants are grown up you wouldn’t be aware that they had been sown in lines, if a natural look is what you are after. Thank you to all the contributors for their top tips…you are super, smashing, great! Bee Friendly Flower Seeds. 2016 Collection. Coreopsis Grandiflora ‘Early Sunrise’. Short lived perennial.